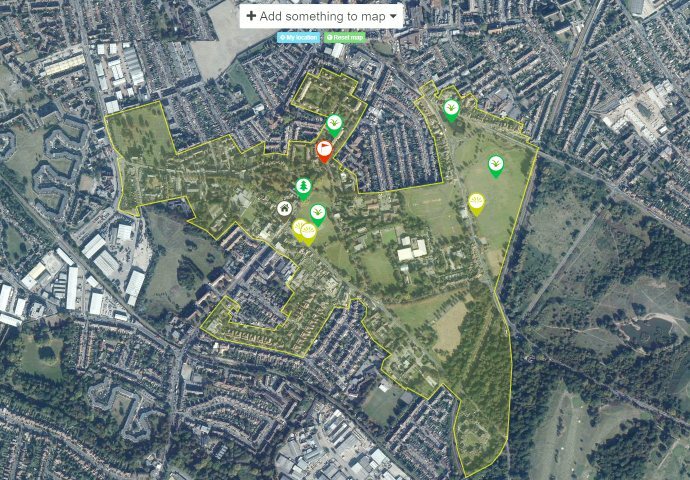 The La Sporta site opposite Mitcham Parish Church provides one of the most important gateways to the Cricket Green Conservation Area. A maternity and child welfare centre was built around 1940 and it became a community centre in the 1990s ahead of being sold for £300,000 in 2012 to a property developer. There is a history of anti-social uses of the building and now the whole site has fallen into a state of disrepair. 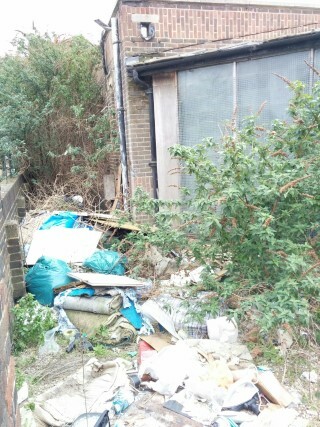 The building is derelict and run down, the land is overgrown and it is a magnet for fly tipping. 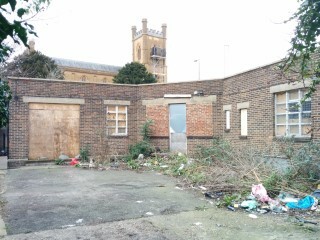 Merton Council has a number of legal powers to require the owner to restore the site and we have asked it to take action. 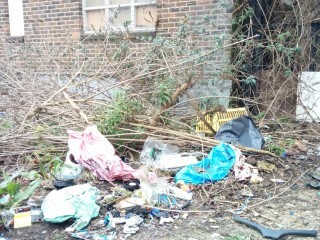 This entry was posted in Cricket Green Conservation Area on March 9, 2016 by mitchamcricketgreen.